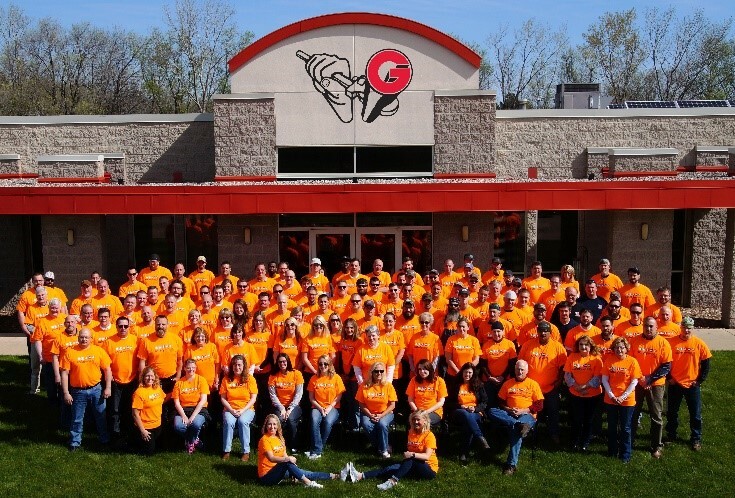 Safety Week Celebrated at Grunau | Grunau Company, Inc.
Grunau is celebrating construction Safety Week 2017, May 1 – 5 at all of its locations in Wisconsin, Florida, Indiana, Ohio, and Pennsylvania. Orange t-shirts with the safety week logo were given to all employees. Safety training took place with classes plus videos and communications. We even enjoyed some sweet treats this week. Our Milwaukee mechanical construction jobsite teams and branch fire protection offices all submitted photos. Subsequently, photos of employees being safe were posted on our safety bulletin board for all to view. Though Grunau’s safety culture emphasizes being safe every day, this week is set aside by many companies and thousands of workers to join together in celebrating successes and remembering to keep each other safe. Grunau and its APi Group sister companies are following the slogan: Everyone leads safety. What is the difference between HVAC and AC? Bitter cold freezes pipes: is your business protected?